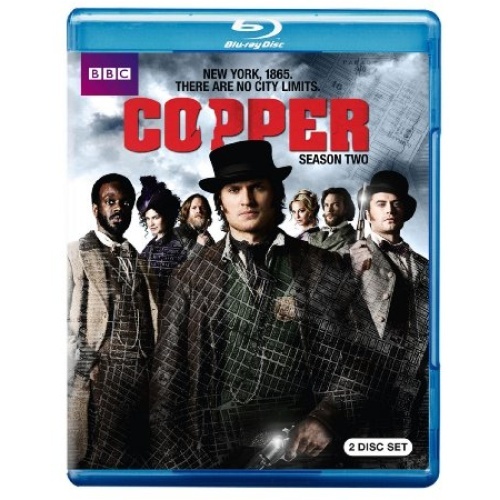 Executive Produced by Emmy-winner Tom Fontana, Academy Award-nominee Will Rokos and Academy Award-winner Barry Levinson, the gripping crime series Copper returns for a second season. 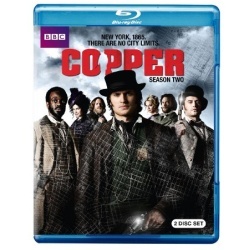 Set in New York City on the brink of Lincoln's assassination, Detective Kevin Corcoran struggles to tame the wartime metropolis while wrestling with personal demons, including the betrayal of his wife and best friend. And when Tammany Hall's outspoken General Brendan Donovan, returns from the Civil War to restore law and order in the Sixth Ward, loyalties will be bought and sold both uptown and in the slums of the Five Points as Corcoran, and those around him, fight to find their places in an unforgiving city.